As some of you know, we've just bought a little cottage in upstate New York that we're working on readying for what we hope will be the site of many great memories and parties with friends and family, adventures in nature, and an escape to a simpler, more sustainable lifestyle. 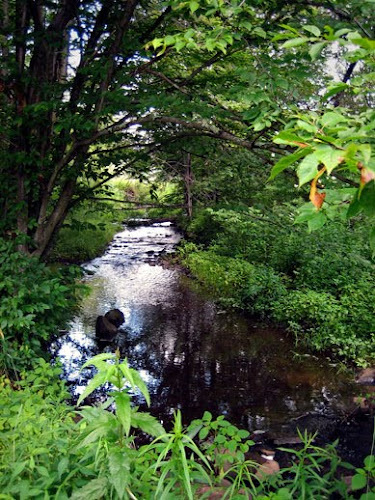 Our cottage is in the foothills of the Catskills, an area that is still surprisingly remote and rural and that has lovely ponds, streams, and lakes throughout. This picture is a shot of the stream behind the cottage - following it to the left leads you to beaver ponds and other wonderlands.